When Nevada legalized adult use sales this past summer, the market exploded and undoubtedly flooded licensed testing labs with samples to get products on shelves. In August, roughly a month after the start of adult use sales, a Las Vegas cannabis-testing lab, G3 Labs, had their license suspended for an unknown compliance issue. “We can’t disclose the details of the suspension, including anything about penalties,” said Klapstein. 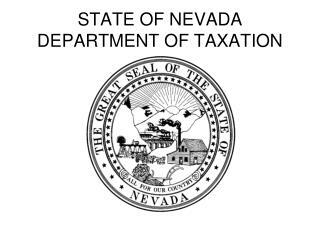 “Under NRS 360.255, the information is confidential.”Then in late December, the Nevada Department of Taxation, one of the bodies tasked with regulating the state’s industry, announced in an email they suspended two more cannabis testing lab licenses. 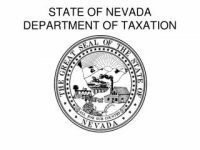 Certified Ag Lab in Sparks, Nevada and Cannex Nevada, LLC, in Las Vegas (also known as RSR Analytical Laboratories) both had their licenses suspended on December 22 and December 26 respectively. According to the Reno Gazette Journal, both of those labs had their licenses reinstated and have since resumed normal business. During their license suspension, the labs were not allowed to operate and the department directed licensed cannabis businesses to submit samples to other labs. The department also directed the suspended labs in the email to coordinate with their clients who had samples in for testing; to either have their samples transferred to a different lab or a new sample taken for another lab to test. They did note that no product recalls were deemed necessary because of the suspension. In that same email, the department directed licensed cannabis businesses to state-licensed labs in good standing, including 374 Labs, ACE Analytical Laboratory, DB Labs, Digipath Labs, MM Lab and NV CANN Lab. But on the department’s website, it says there are 11 licensed testing labs. Because of that confidentiality, there are a number of questions left unanswered: With three lab licenses suspended in the first six months of the Nevada’s adult use market being open, how are testing labs keeping up with the market’s pace? What did those suspended labs do wrong? Do the regulations adequately protect public health and safety?